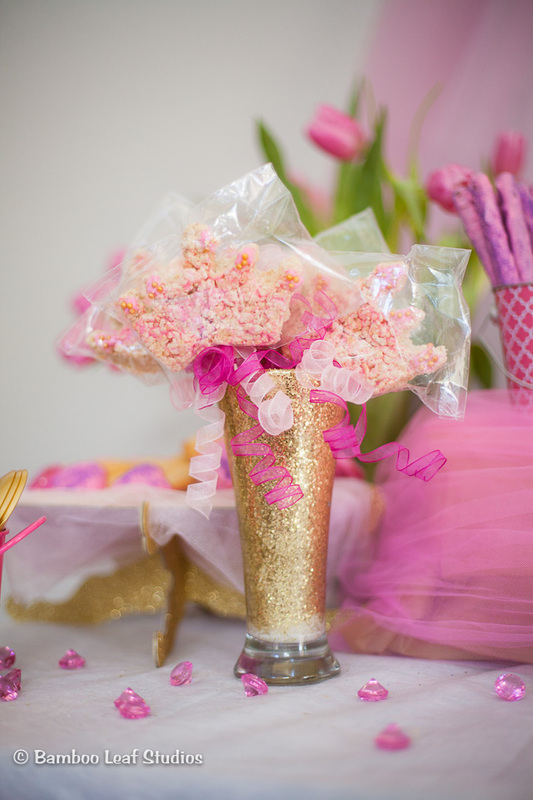 For my daughter’s princess party, I decided to go with a Pink & Gold theme for the decorations. Since we were having a dessert table, I wanted a fun and easy way to display the rice crispy treats while adding a pop of dazzle to the table. 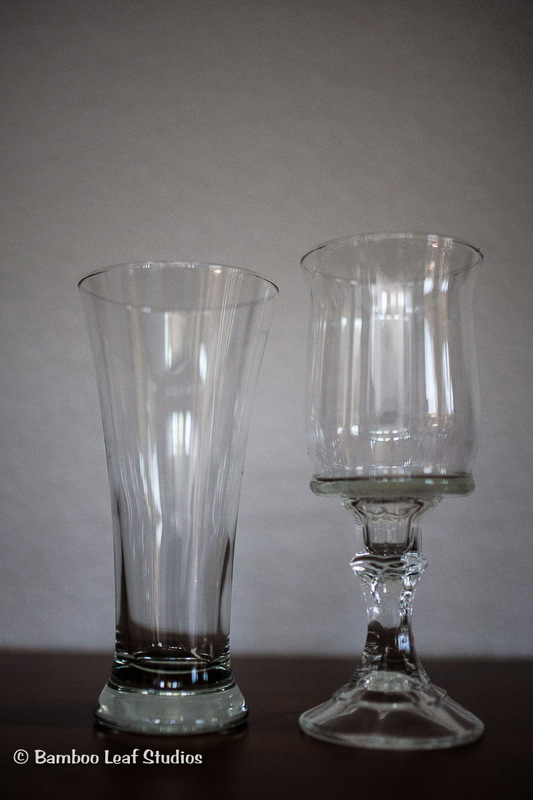 I visited a local thrift store, Opportunity House in Vacaville California, to find tall glassware. For $1.00 a piece (plus a 30% President’s Weekend discount), I found these two pieces that fit the bill. Total bill came to about $1.50 for both. Not bad! Apply more gold as needed. Applying it to the inside also makes it easier for you to hold the glass as you swirl the gold glitter around. Here is the finished result. As you can see, the gold comes through very nicely once the glue dries. Since the glitter was applied on the inside, any glitter that fell off was contained in the glass which made me happy. Plus, with the glitter on the inside, my daughter was less likely to start peeling the glue off of the vase. Have a DIY project you’d like to share? Submit your project to our blog as a guest blogger.